As a budget-conscious consumer, you always shop around, check reviews, and compare prices before buying anything. You also look for discounts and rewards that make your purchases all the more worthwhile. When it comes to your car insurance, however, how much are you willing to sacrifice for the sake of frugality? If you, like most people, view your car insurance as a necessary evil rather than a sound financial investment, it only makes sense that you’ll try to minimize your insurance costs. And while there’s nothing wrong with searching for the best deal you can get, skimping on your car insurance is not always a wise choice. Driving a car goes hand in hand with accidents and other perils, and your cheap insurance contract may cost you more in the long run. Suppose you get involved in an accident and the other driver’s car gets wrecked. The minimum amount of liability insurance you are required to carry by law will only cover for a small amount of his damages. The rest of the money needed for the repair will inevitably come straight out of your pocket. It goes without saying that the damage caused to your own vehicle will not be covered by your standard policy. Now, imagine that the other driver also suffers bodily injuries, and he needs to spend a couple of weeks in the hospital. Apart from the material damages caused in the accident, you will also have to cover for expensive hospitalization bills as well. The injured party may also demand compensation for any lost income due to his inability to work during his hospitalization period. In a single crash, your entire life savings can go out the window. Then, there’s the possibility of causing damage to a building or other private property by crashing into it. 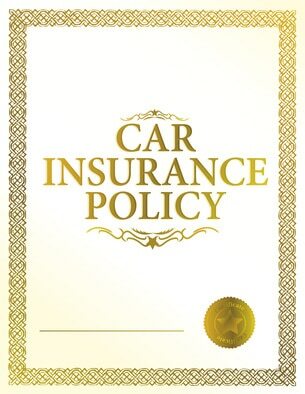 Standard car insurance policies do not typically cover for such instances, and the cost of repairing the damaged property can be prohibitive, even after a settlement with the owner. Your cheap insurance policy will once again fail to prevent you from financial strain. Truth be told, you can’t protect yourself against all possibilities of a car accident. However, you can still get all your bases covered while keeping your insurance premiums manageable. What you need to do is identify the types of accidents that are more likely to happen to you and get adequate coverage for them. For example, if you live in an area where snow or frost is a common occurrence, bumping into your neighbor’s fence while getting your car out of the driveway is a very real possibility. Similarly, if you live at an upscale neighborhood where SUVs and luxury cars are prevalent, you will need to raise your liability insurance costs, as these cars are much more expensive to repair. While assessing your insurance needs, make sure to consider any non-accident risks your car may be up against. A dangerous neighborhood makes theft a plausible scenario, so buying at least a minimum amount of theft insurance is probably the wise thing to do. You should also check whether you need insurance against natural disasters. There are many great ways of reducing your car insurance premiums, but cutting back on your coverage is not one of them. Instead, you can try changing your provider or looking for discounts. You can also get a better deal by moving all your insurance policies to the same provider. Look for an option that will offer the amount of coverage you need at an affordable price. Your car insurance is much more than a useless contract; it is a safety net for you and your financials. Even though you may think you are saving tons of money by keeping your premiums at a bare minimum, your cheap insurance policy may cost you dearly should you cause an accident.